IMPACT IS WHAT I SEE. INTENT IS WHAT I FEEL. 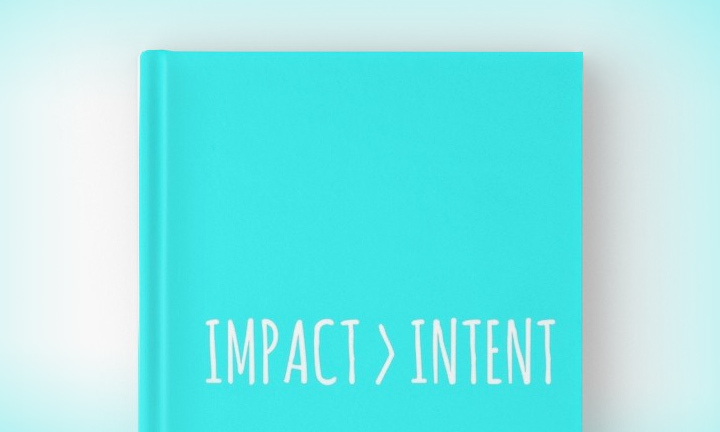 There can be a uniformity between impact and intent. However, not until we know and understand how to create this congruency is it possible to master the vital skill of creating healthy relationships. Years ago Papa King, a WW2 veteran, liked to say, “The road to hell is paved with good intentions.” Walt King was a successful businessman, although he suffered greatly during the Great Depression. As a teen, he rode the rails hoping to find work. Eventually, he owned a lucrative garbage business and also drove 32 years for USPS. The Crowell grandchildren loved their Papa King. In essence, Papa King was also teaching us to know and understand good intentions may have negative impacts. The solution to developing a congruent relationship between impact and intent is to focus on the impact not the intent. Be more concerned about what you say and do. It does impact people. Do not defend your intent. Instead, take full responsibility for your impact. For example, take a kid in school who bullies another kid. The teacher says, “Please do not do that. You hurt his feelings.” That kid says to himself, “Stupid teacher. That is exactly what I wanted to do. I wanted to hurt his feelings.” The wise teacher should say, “Do you want to take responsibility for the impact you just had on that student?” The impertinent bully will say “No” or be self-defensive. Jesus was a master of aligning impact and intent perfectly. He could see the difference. What was His primary tool? Jesus often used the creative life skills tool of CURIOSITY. Curiosity fosters questioning. Questioning fosters knowing and understanding. Knowing and understanding fosters congruency between impact and intent. CHALLENGE: For the next few days, focus only on your impact. When you speak, deliberately observe others’ reactions in the conversation. This means watching their eyes, facial expression and posture, in addition to their words. This will tell you the impact you are having. Goal is to speak life not death. Focusing on impact, hopefully, will cause us to create positive impacts and fulfill our positive intent. This will produce the best harvest!